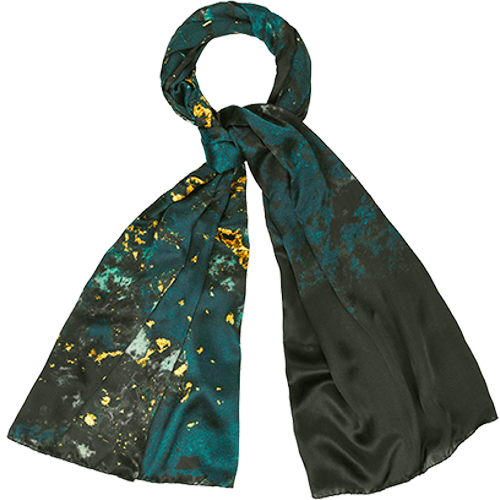 We know this does not look much when seen as a photograph or even scanned image, but it is an exceptional scarf, and has proved to be one of our most popular. Indeed, it was chosen by the FT's How to Spend It. It has beautifully subtle greens - a wider range than evident here - complemented by gold colours that look rich and natural. Altogether, a scarf much recommended for any time of the year.